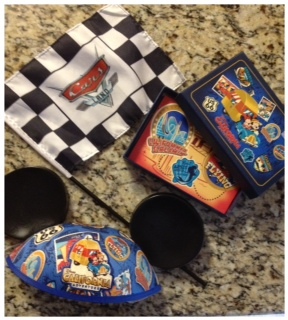 Picturing Disney: Carsland Souvenir Giveaway!!! While everyone is waiting on the Disney Dooney Giveaway I teased you with I wanted to surprise you and promote another awesome contest!!!!!! The awesome bloggers over on Everything Walt Disney World and Mouse Chat (as well as some of my other Disney blogging friends) and my friends over at Pixie Vacations have put together this great Carsland Giveaway! Enter via the Rafflecopter widget below (if the link doesn't show up and you are on your mobile device you may need to wait until you are on a computer)!